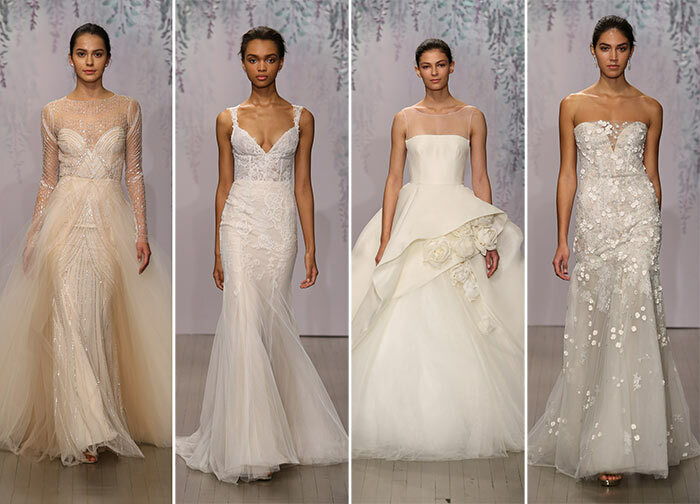 Utterly chic and effortlessly romantic, that’s how Monique Lhullier‘s fall 2016 bridal collection may be cryptically described. Cosmopolitan fashion designer Monique Lhuillier has in fact just unveiled an extremely delicate collection, the main inspiration of which comes from a romantic lush garden: “My Fall 2016 bridal collection is an elaborate fantasy inspired by a romantic and lush garden. 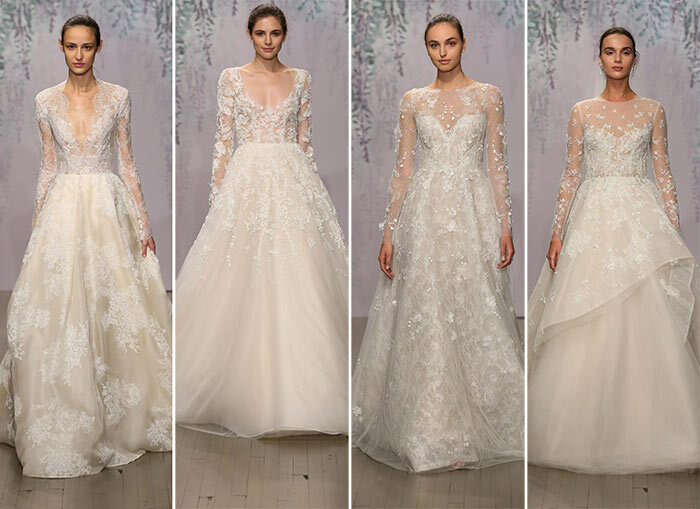 [‚Äö√Ñ√∂‚àö√ë¬¨‚àÇ] The dresses are ultra-feminine, with luxurious beading, embellishment and layers upon layers of tulle to create an ethereal dream,’ the designer tried to explain the message behind these ethereal and breathtaking gowns that are sure to turn every bride-to-be into a princess on the	big day. Lhuillier, who was born to a Vietnam-born Filipino with French descent and a Filipino model of Spanish descent, has always been attracted by the fashion industry. Her mother, who used to sew her daughters’ dresses, forbade them to wear black dresses when they wear young. Does it have anything to do with Lhuillier’s reluctance to use dark hues in her designs? 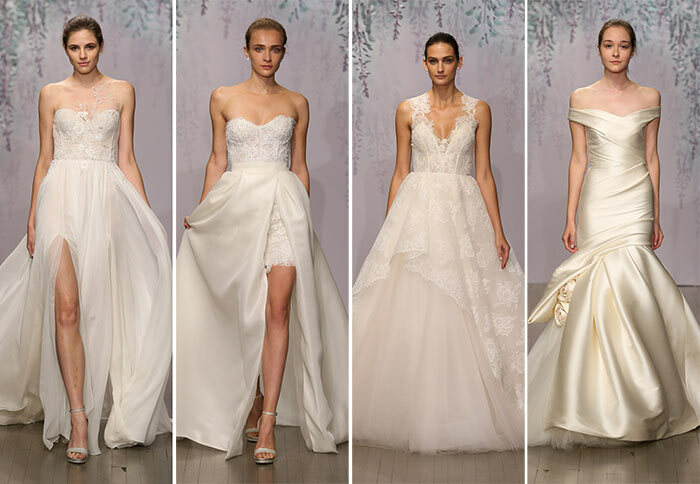 Anyways, ever since unveiling her debut bridal line in 1996, Lhuillier has never stopped creating her own innovative masterpieces despite the fact that lighter colors have always prevailed in her collections. Her romantic fall 2016 collection embraces a soft palette of blush, pale grey and ivory colors, often interrupted with sleek and see-through fabrics. Following some of this season’s most embraced trends, she enjoyed playing with a large portion of bare skin, often embellished with sweetheart necklines or strategic cut-outs. In this regard, her very first piece perfectly sums up the entire collection with its lace sweetheart neckline, embroideries and structured skirt. 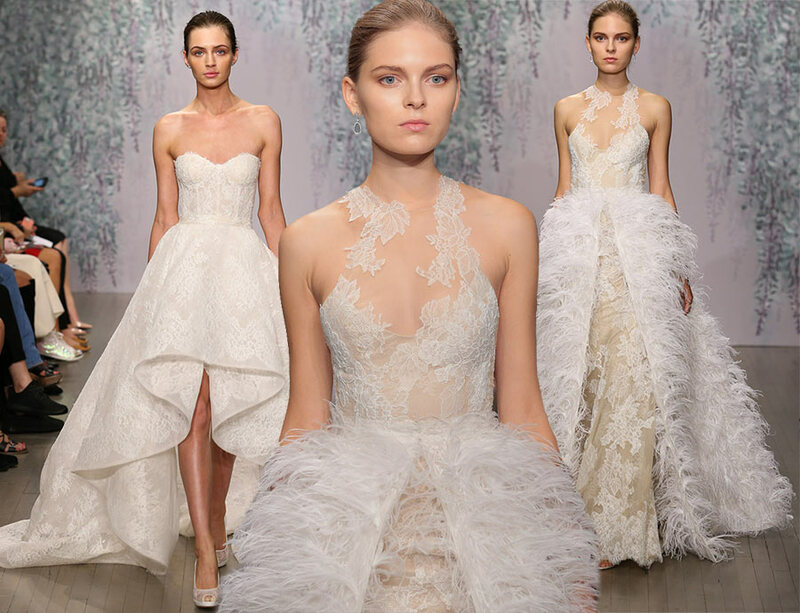 High front slits and detachable skirts are other great protagonists of the Monique Lhuillier fall 2016 bridal collection, which are however interrupted with whimsical appliqués such as rosette, feathers and sensual string of pearls that give the line-up more dynamicity. These cascades of pearls are often alternated by floral embroideries, which elegantly hug the models’ figures making them look even more slender and ethereal. Big 3D floral embellishments, on the other hand, play peek-a-boo with some of the most voluptuous gowns, making the structural motif even more intriguing. Layers upon layers give the collection a futuristic allure, which travels to space thanks to the aforementioned strings of stellar pearls. Sleek fabrics and mermaid dresses reveal Lhuillier’s version of structuralism, and also manage to reaffirm the designer’s incredible ability to push the boundaries between conventional and modern bridal dresses. It is also interesting to notice the widely used open backs, as they give the collection a sultry, yet sophisticated and innocent touch, catching our attention almost immediately. Lhuillier definitely knows how to bare skin while still maintaining the high amount of femininity and sophistication in her designs.